I decided to participate in this year's holiday challenge for ACT Textile Arts. 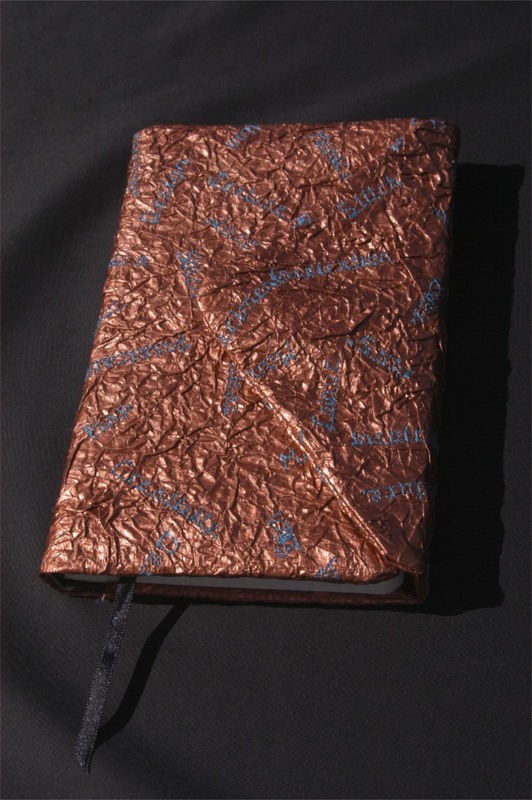 The only requirements were to make a journal cover, starting with a piece of calico (the calico didn't have to be visible at the end). 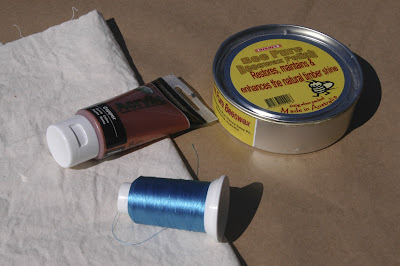 I used calico, brown paper, copper metallic paint, machine embroidery thread - and beeswax. And here's my completed journal cover. I'm quite pleased with it, although I've learned a lot about the construction process. I painted the paper, scrunched it up (lots of fun and very good for relieving stress) and fused it to the calico. I then embroidered words onto it, using a font built into my sewing machine, and finally rubbed beeswax all over it. There is a magnetic catch to hold it closed.